Kazakhstan is a country of endless space and no wonder, it is the ninth biggest country in the world. Plenty of room in our amazingly beautiful country, with its rugged mountains, steppes, canyons, deserts and forests - but the beauty of Kazakhstan isn't just in its nature. 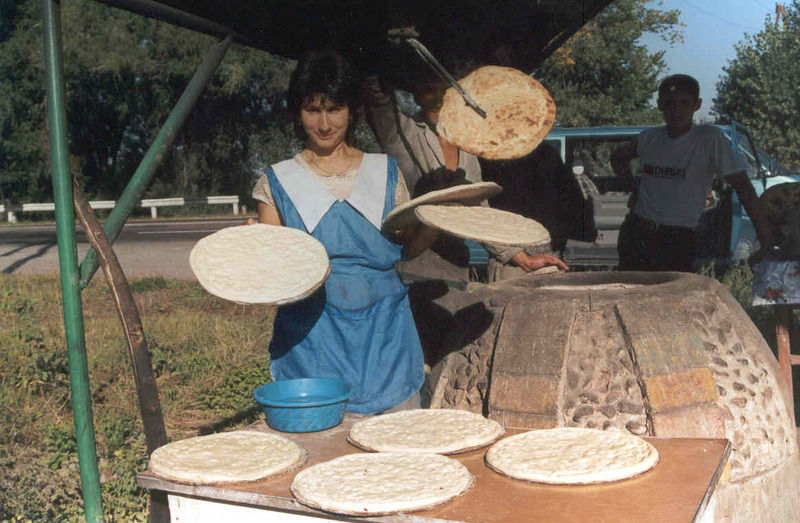 The people are warmly hospitable and food is plentiful in our country. Kazakhstan lends itself perfectly for all outdoor activities, especially for all water sports, hiking, skiing and bird-watching. We are proud of our famous high-altitude skating-rink Medeo, wonderful Sufi monuments and underground mosques. Its a country worth exploring with its historical places, fascinating cities and stunning nature. Further down the page: Read about our company * Travel facts Kazakhstan. 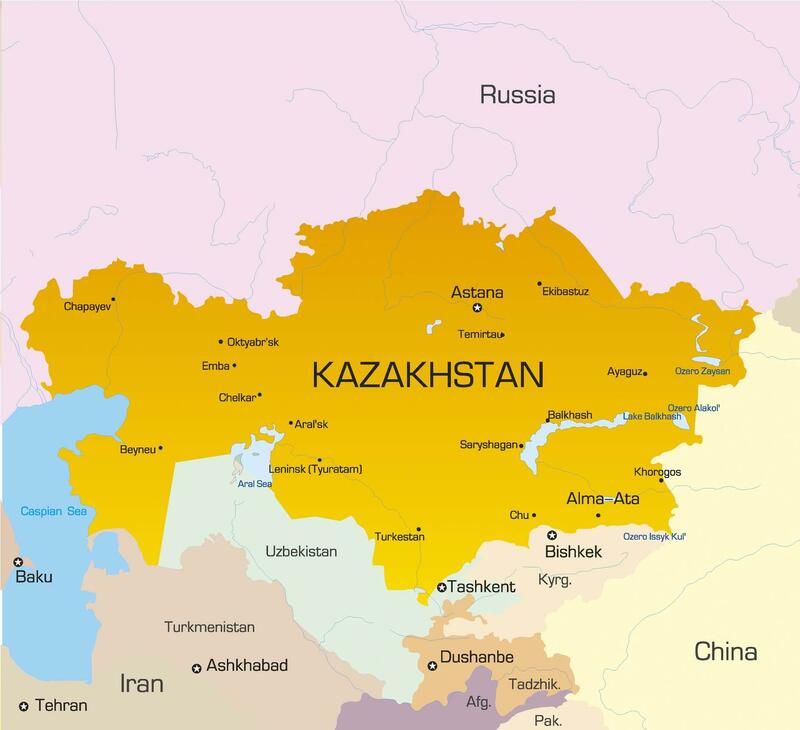 There is also a map of our country and our latest Kazakhstan travel news. Global air has many fabulous program ideas. Of course, one visits cities like Astana, but where the real adventure starts in Kazakhstan is beyond the cities in our beautiful countryside. In Kazakhstan, we can make programs around our mountains and valleys, the deserts and forests. Here you can experience the wonderful hospitality of the local people in the villages. Starting in 2000,we are now a leading DMC company across Kazakhstan. We are the only company in Kazakhstan to gain the world class Certificate of Quality System ISO:9001-2001. An additional strength is the multilingual assistance we can provide. We always go the extra mile to make our clients happy. If you are in need of a true professional in Kazakhstan, please contact us. Opened in 1932 and was named after poet, composer, and philosopher Abay Qunanbayuli. This magnificent building is both important in its own architecture, but also in the many Kazakh stars it has produced. The largest and most cosmopolitan city in the country, in a beautiful setting at the foot of the Tian Shan Mountains, Almaty has the best range of places to eat and the most vibrant nightlife in Kazakhstan, and it makes an excellent base for exploring the attractions of the wider region. The Altai mountains are divided between Russia, Mongolia, China and Kazakhstan. It's a glorious place to be, with natural life undisturbed by the people that live in these mountains. This huge, crowded flea market is a mix of Uzbeks, Chinese, Uyghurs and others who come here to sell everything from animals, fridges and cars to fur hats, jeans and shoes, at very good prices. Petroglyphs within the Archaeological Landscape of Tamgaly is the best researched and documented site of rock art in Central Asia. It provides insight into the culture of the traditional steppes civilisations of Central Asia. The site also includes ancient settlements, bural sites and sacred sites. Kazakhstan's greatest architectural monument and its most important site of pilgrimage. The mausoleum of the first great Turkic Muslim holy man, Kozha Akhmed Yasaui, was built by Timur in the late 14th century on a grand scale.